Jared Leto Bio, Age, Height, Net Worth, Girlfriend, Is He Gay? Home Actors Jared Leto Bio, Age, Height, Net Worth, Girlfriend, Is He Gay? Jared Leto is a popular, multi-talented American actor, singer, songwriter and director. He has received a lot of acclaim for his devotion to the roles he takes on. Before recognition, he got his career started by appearing in televisions shows and taking on bit roles in films. His performances as an actor are always jaw-dropping thanks to the research he does for his roles, which seemingly always pays off. Jared Leto was born on the 26th of December 1971 in Bossier City Louisiana. His mother, Constance Leto is of Cajun descent. Not a lot is known about his father except that he divorced his (Jared) mother when Jared and his brother – Shannon, were still very young. Even his surname – Leto, is his stepfather’s name and not his father’s. His biological father remarried after his divorce from Constance Leto and had two sons from his second marriage. He later killed himself when Jared was only eight. Jared’s maternal grandfather was in the Air Force so the family traveled around a lot. While he was still young, his mom convinced him and his brother to get involved in the arts. He grew up around painters, writers, artists, singers and thespians who also inspired him to act and sing in the long run. His first musical instrument was a broken down piano which he began playing at a very young age. Jared dropped out of school in the 10th grade but later continued at Emerson Preparatory School in Washington D.C. He went on to study at the University of the Arts in Philadelphia before transferring to New York City’s School of Visual Arts when he developed an interest in filmmaking. As a student, Jared Leto wrote a short film, Crying Joy, which he also starred in. Jared Leto is also a founding member and lead singer of the American rock band Thirty Seconds To Mars. Jared Leto has a total net worth of $40 million, which is the result of his very successful film and music career. The actor is speculated to earn $7 million as salary for his film roles. Speculations began to rise about Jared’s sexuality when he convincingly played a transgender woman in the critically acclaimed Dallas Buyers Club. However, it is common practice for the media to frequently speculate about the sexuality of celebrities, so this came as no surprise. But for the record, Jared Leto is actually straight. Jared Leto is a certified ladies’ man in Hollywood. The eligible bachelor has won the heart of almost every beautiful woman he’s come across. He previously dated Cameron Diaz from 1999 to 2003 with many thinking the two would get engaged. Sadly, they broke up after four years together. In 2004, he was romantically involved with Scarlet Johansson, although they ended things a year later. He was also rumored to have dated Ashley Olsen in 2005. Jared and Lindsay Lohan were rumored to have had a brief relationship when they worked together on a film but the actor dismissed the misconception on an interview with MTV saying he never talked to her or anyone on set. His list of speculated relationships goes on to include Lydia Hearest, Isabel Lucas, Nina Senicar, Katharina Damm, Lupita Nyong’o, Miley Cyrus and Katy Perry. It is not surprising that Jared has dated some of the most beautiful women in the industry – it comes easy when you’re talented, rich, handsome and respectful towards women. 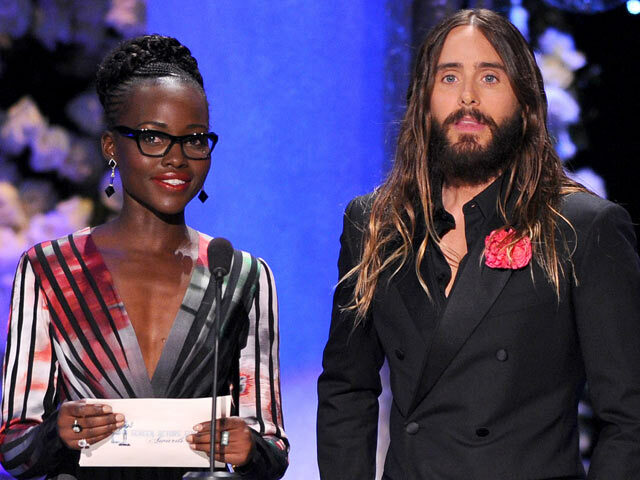 Officially, though, Jared Leto is single and not looking to settle down just yet. Read Also: James Marsden Wife, Divorce From Lisa Linde, Kids, Height, Is He Gay? The American actor is surprisingly tall, with his height recorded to be 1.75 m (5 ft 7 in). Though his weight fluctuates regularly, depending on his role, his present weight is believed to be 69 kg (152 lbs). His other body measurements are chest – 43 in, waistline – 32 in and biceps – 14 in. His shoe size is 11 U.S (43 EU). There is no denying that Jared has an enviable physique. This is achieved by adopting a vegan diet, avoiding alcohol, doing yoga and placing a priority on rest. He also enjoys hiking and cycling, preferring to exercise outdoors. He has also admitted that he does not like music when working out like most people but prefers the sounds of nature. Well, whatever he is doing, it is definitely working for him.